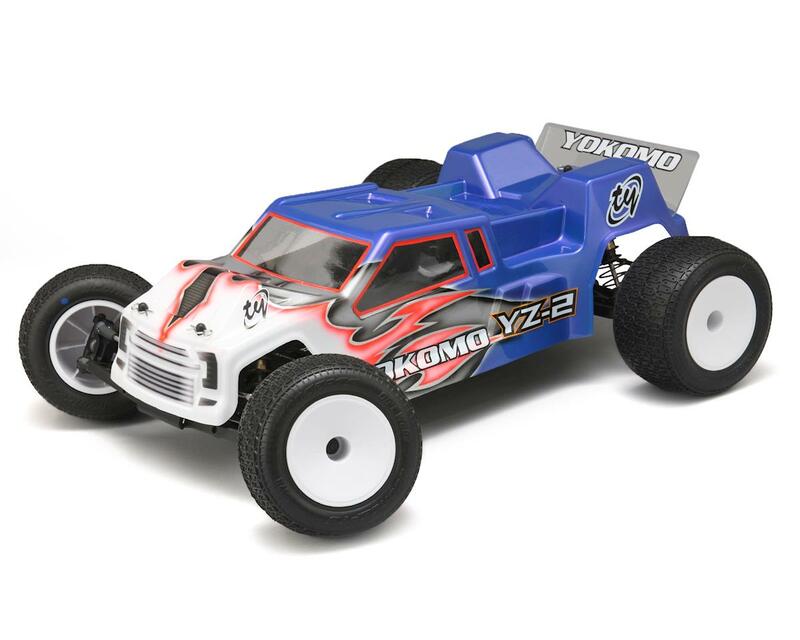 The Yokomo YZ-2T 1/10 2WD Electric Stadium Truck Kit brings Yokomo's World Champion quality and performance to the stadium truck class! 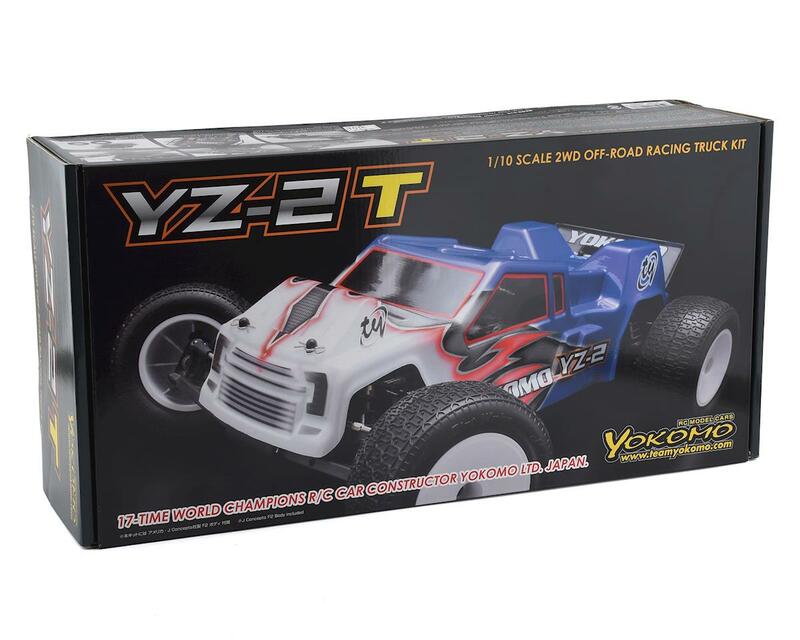 Based on the YZ-2 with the addition of stadium truck specific design features, the YZ-2T is ready to compete at the highest levels. 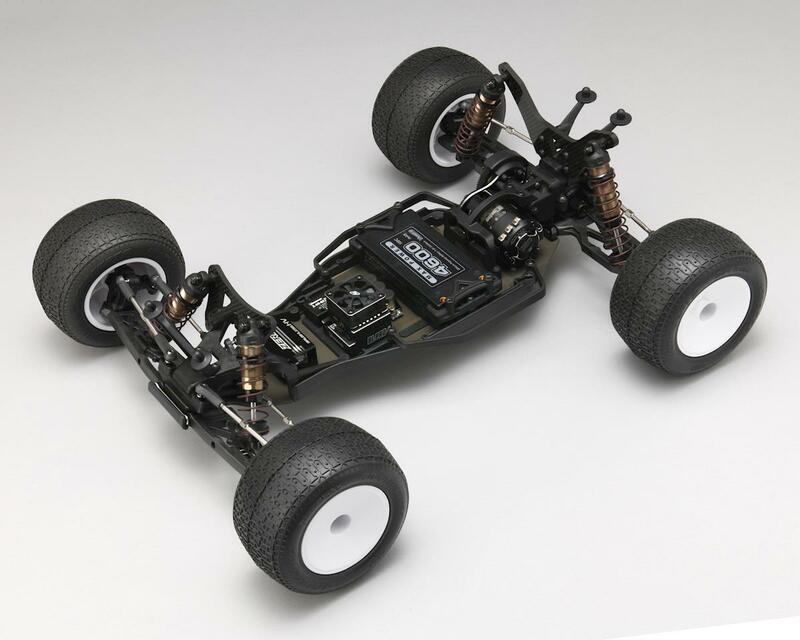 Includes a longer hi-grade aluminum chassis for added stability, along with a wider stance designed specially for the stadium truck class. Longer front and rear shocks were added for better jumping, landing, and handling characteristics, along with wider shock mounting locations designed and tested specifically for the YZ-2T. Graphite steering ackerman plate was designed specially for the YZ-2T’s longer front suspension arms. Battery hold down system makes it very easy to replace batteries, while also allowing the battery to be moved forward or backward in a 40mm range. Electronic mounting tray helps provide strength when securing the ESC and Receiver, as well as easily being removed for cleaning or maintenance. LD (Lay Down) 3-gear transmission works great on all hi-traction surfaces including clay, astro, and carpet. 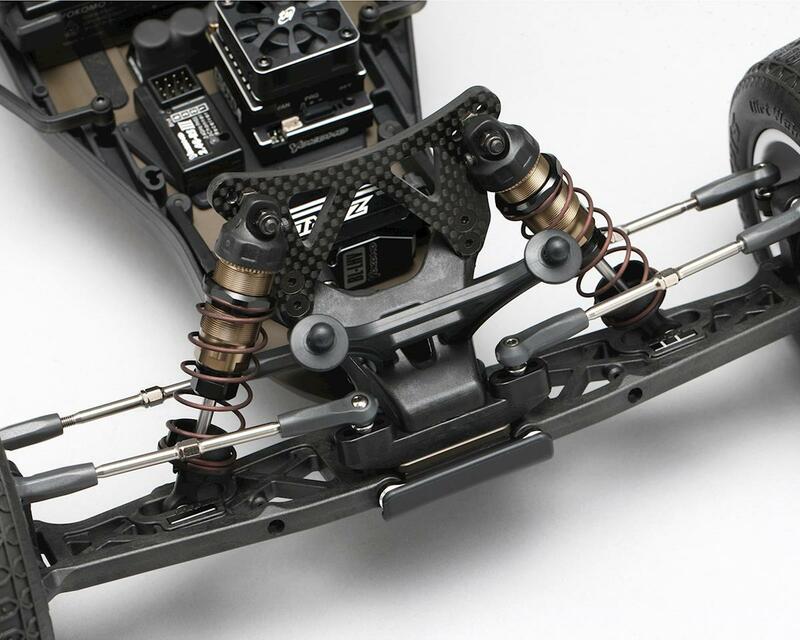 Lower shock mounts allow precise adjustments. Differential height adjustment system uses cams to adjust the differential higher or lower, from 0 to 3mm depending on traction level. Transmission case is divided into three parts, making it easy to remove the differential quickly. Upper transmission case allows the differential to be removed while keeping the lower transmission case intact. 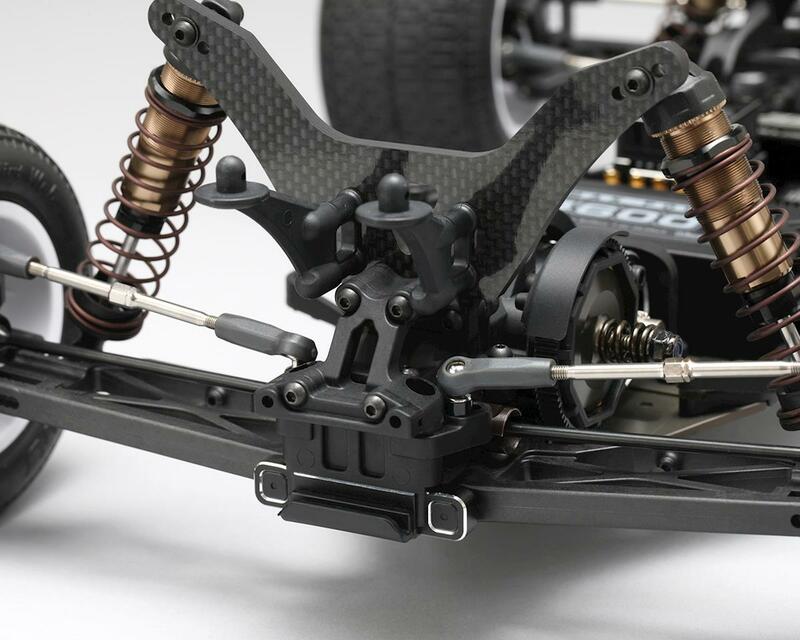 JConcepts F2 Body provides a great aggressive look with hi-downforce features resulting in increased steering and traction. By far the best Rc I’ve ever built. 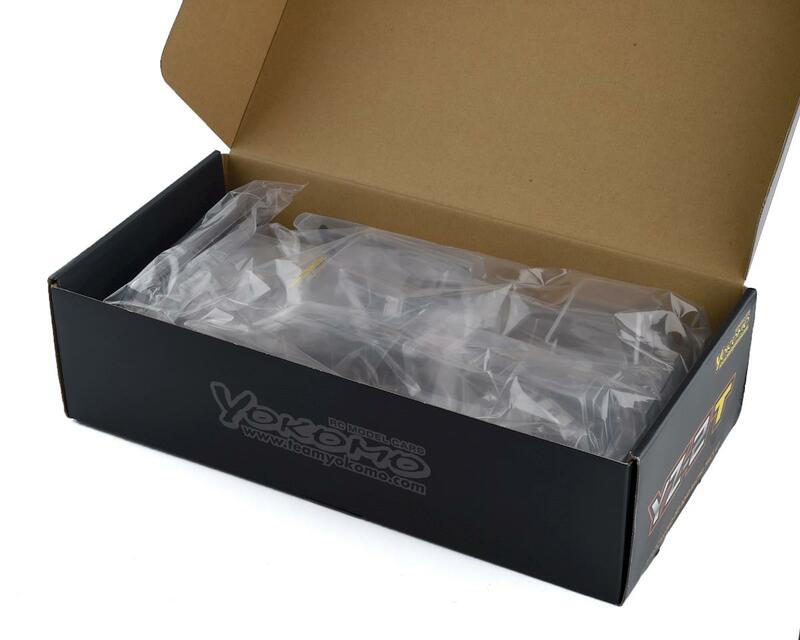 First yokomo, and it won’t be the last! It drives amazing, probably my favorite kits I’ve owned. Easy to build no problem what so ever. Runs great on turf even with the kit springs. I have my truck dialed for my local track. I can’t be any happier. Best stadium truck on the market. Easy build, great instructions no upgrades needed. Right out the box competitor. Add additional gear and hit the track.